The next upcoming Laylat al Bara'at starts on sundown of April 20 ending at sundown on Sunday April 21st, 2019. Laylat al Bara'at in the Islamic calendar falls on the 15th day of the month of Shaban with prayers beginning the night before. This day commemorates for Muslims when God descends from heaven and forgives the people of their sins. 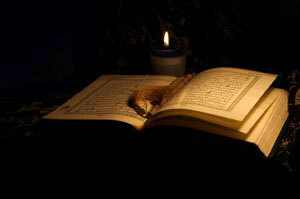 Many Muslims will spend the night prior to in prayer and the day of fasting. In some parts of the world the day is translated to "the night in the middle of Shaban" in others its translates to "night of records"